Thanks for your visiting our shop.Please free to connect us if you have any problem,we will try our best to solve it for you,thanks! Fashion Comfortable Ergonomic Design:Professionally designed Neckband Earphones,Behind the neck design providing you a comfortable handfree and secure fit while running and workout sessions. Lightweight and Sweatproof: Sweet Resistant Headphone Allows for Ultimate Wearing Comfort to Match any Active Lifestyle, Such as Driving, Running, Jogging, Cycling, Camping, Hiking, Gym Exercise, Business and Relaxation. 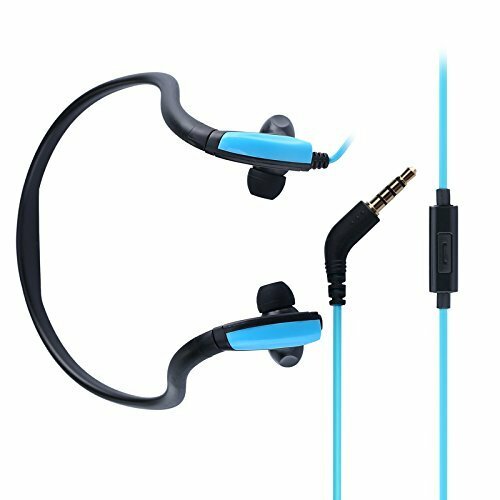 High-quality Stereo: The sound of these sports headphones is clear and crisp.And stereo surround sound with noise isolating will bring better enjoyment while you are using. Professional Ear Cap Design:Come with 3 Sets of Silicone Caps (Size Small,Medium,Large), Design for Various Ear Size to Ensure Comfortable Wearing. A suitable earbud cap is able to reduce ambient noise. Compatible with all 3.5mm audio cable jack smartphones and devices, including Apple iPhone X 8/8 plus,iPads,iPods,Samsung Galaxy s9 S9 plus and Note 8 , MP3 MP4 music players,HTC,laptops,tablets,PC and more. If you have any questions about this product by Ayans, contact us by completing and submitting the form below. If you are looking for a specif part number, please include it with your message.